We stayed here for four nights with our granddaughter and enjoyed it.Everyone we met, even the dogs, were friendly and children of varied ages interacted beautifully. Lakeside has daily, weekly, monthly and seasonal rates. Our site had full hookups. Cabins are available and we saw folks camping in tents. 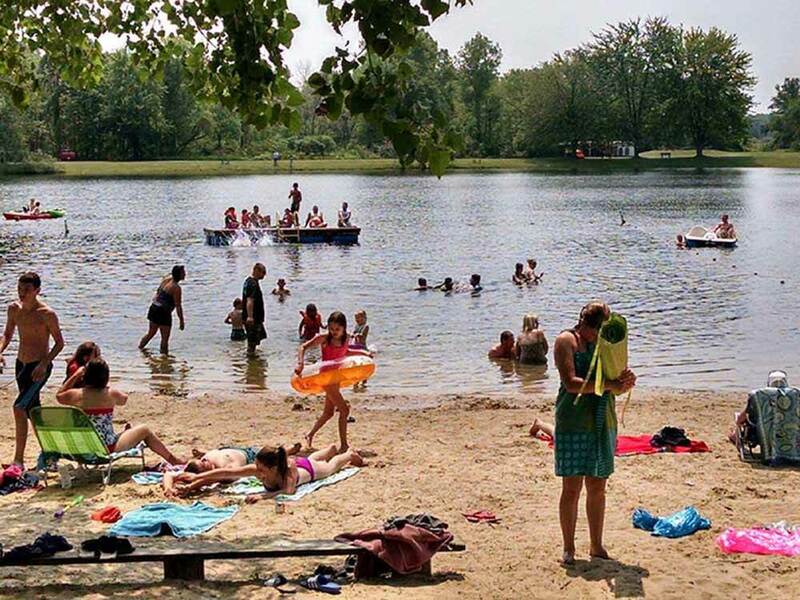 There is a small, spring fed lake with a sandy swimming area. Fishing is permitted and no licence is required. It has a daily limit of three trout or bass per campsite. Canoes, kayaks, rowboats, etc. were on the lake. The lavatory/shower is very nice and always immaculate. Inside the park office is a recreation area and a laundry, $2.00 to wash and $2.00 to dry.